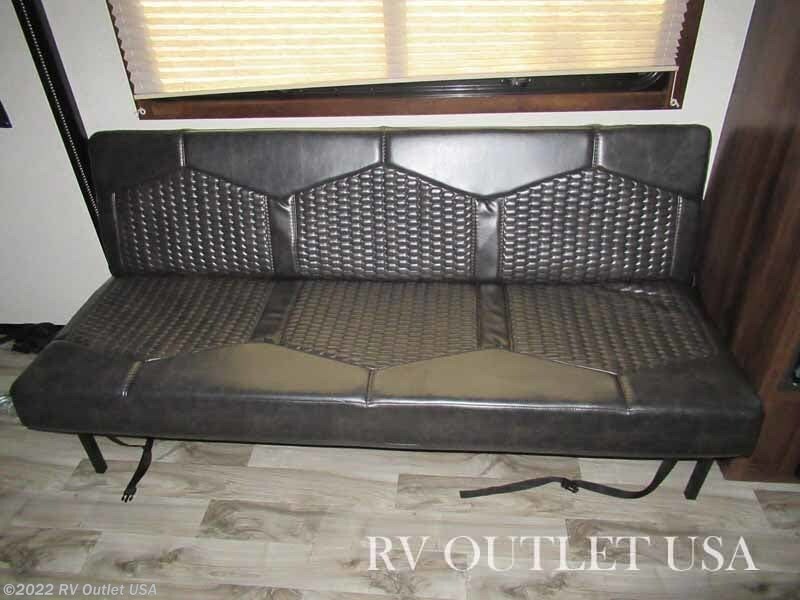 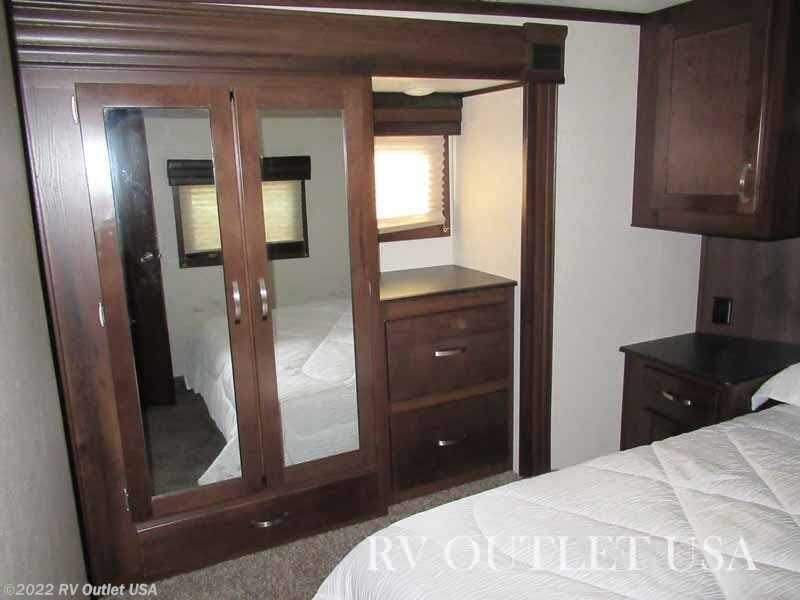 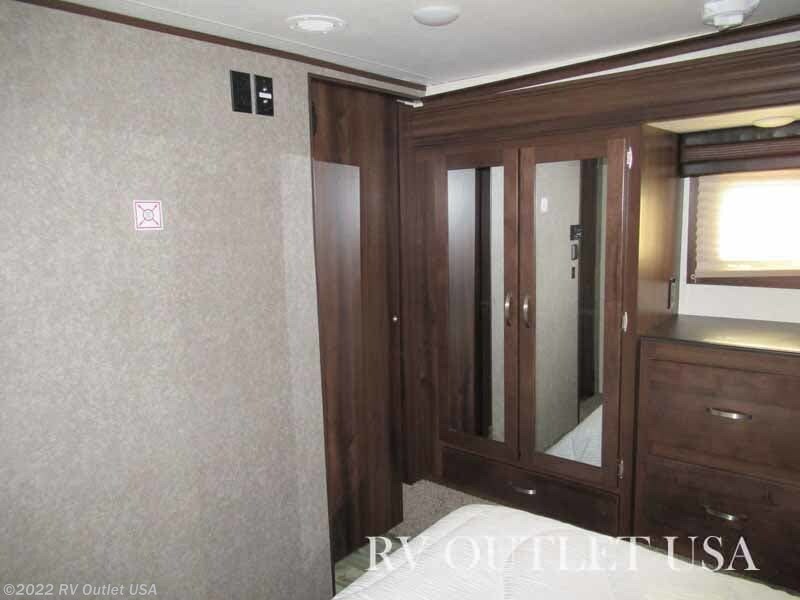 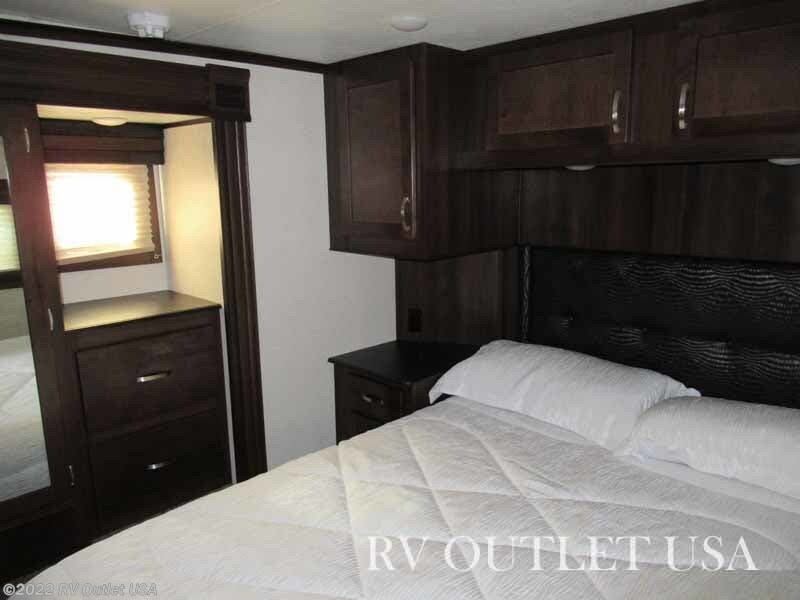 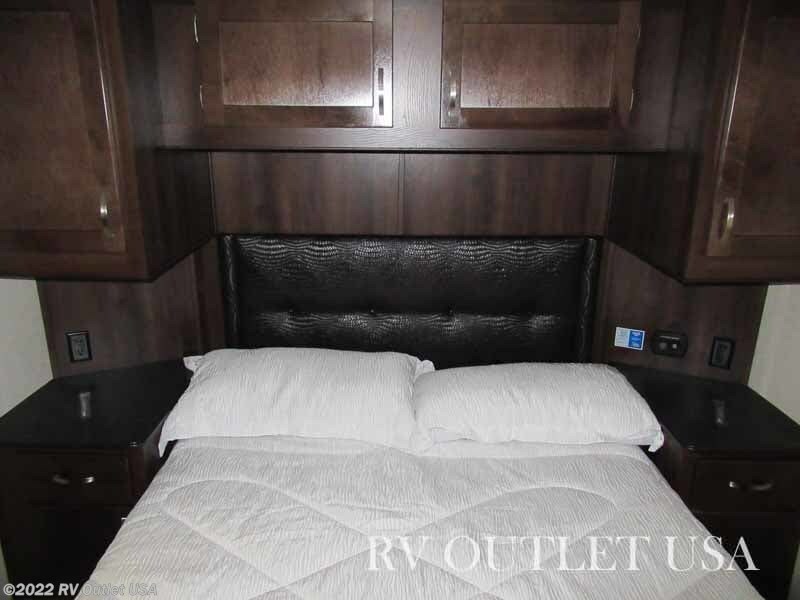 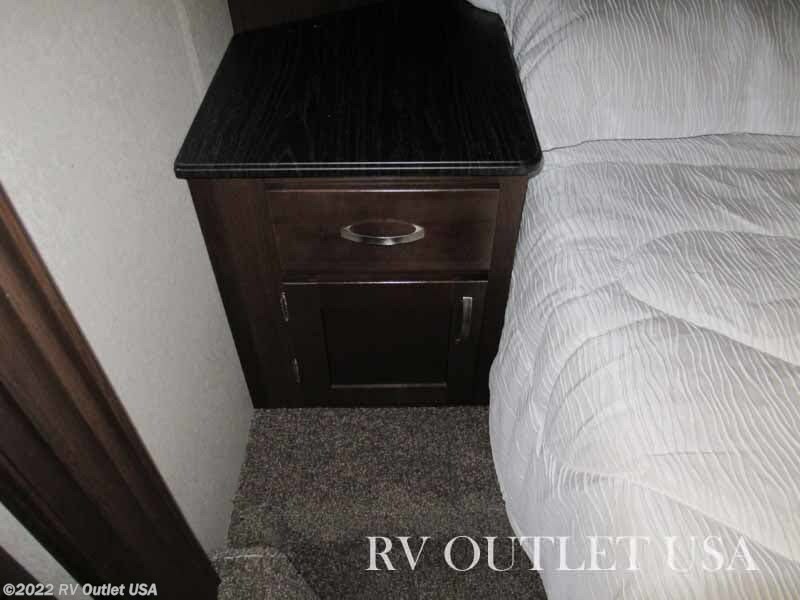 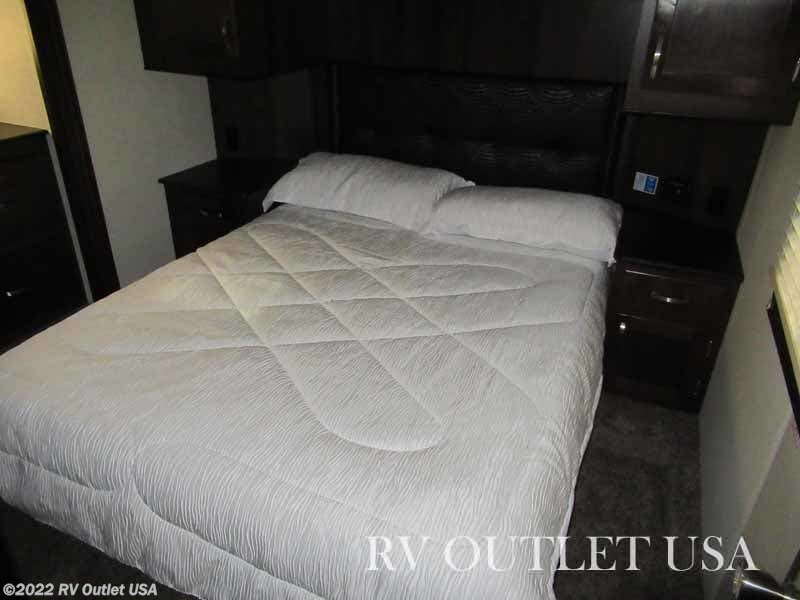 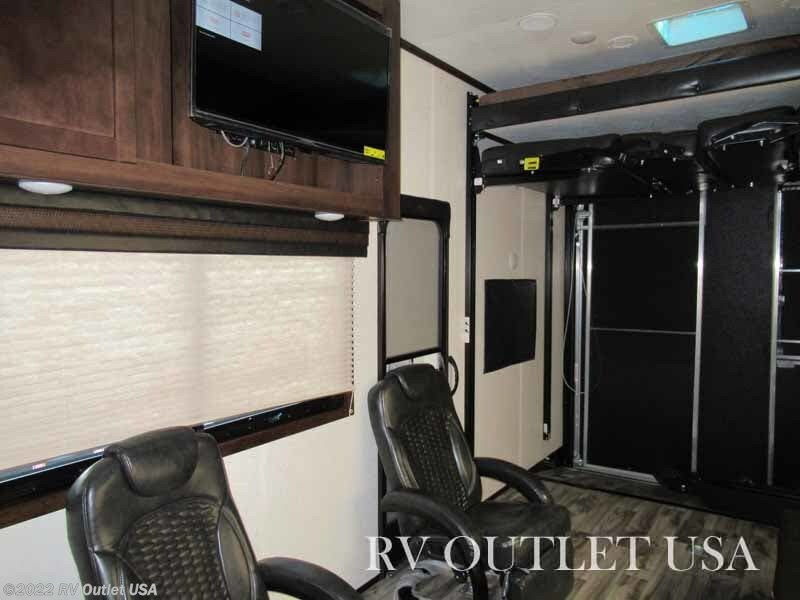 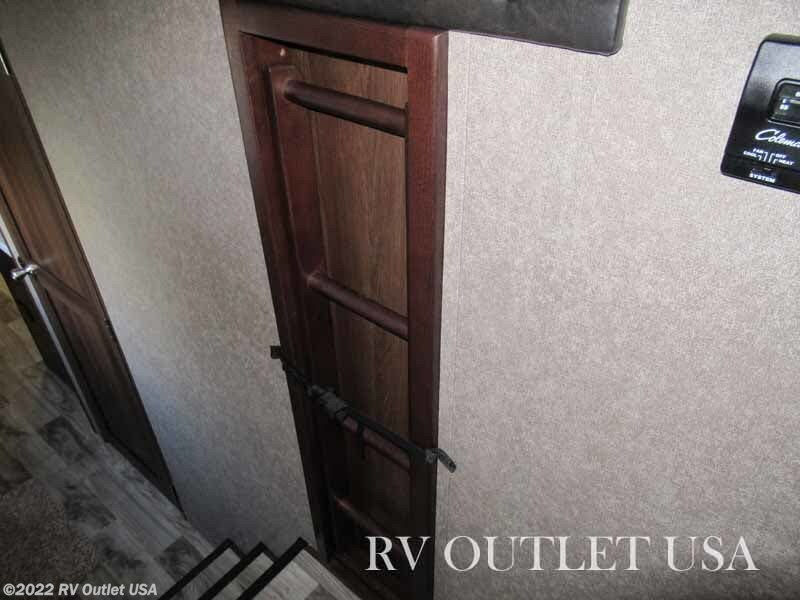 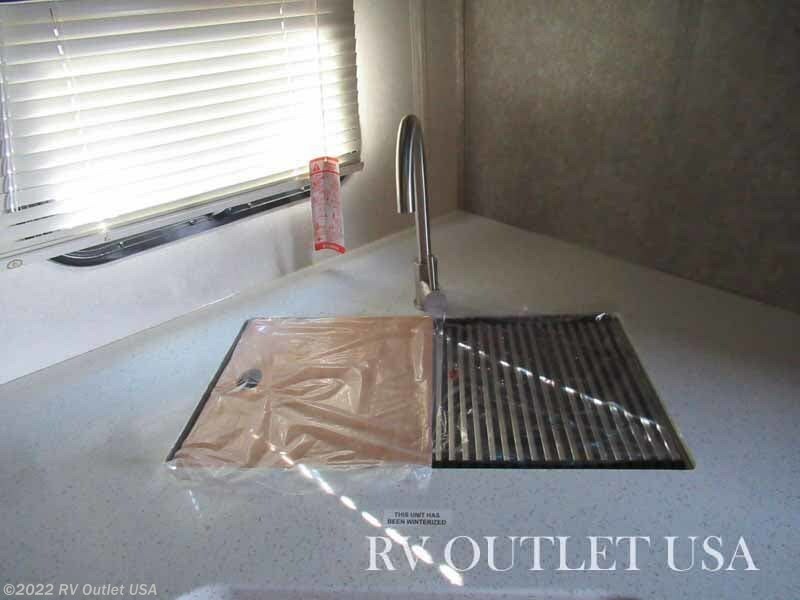 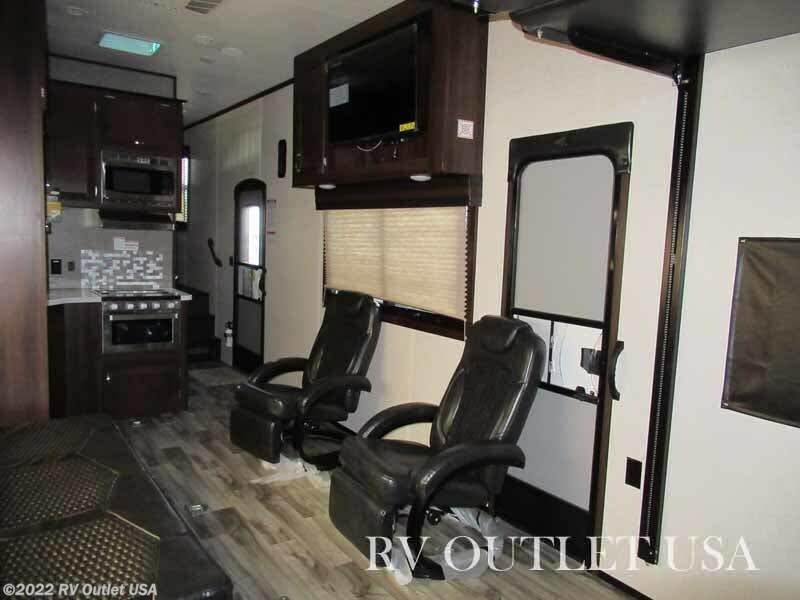 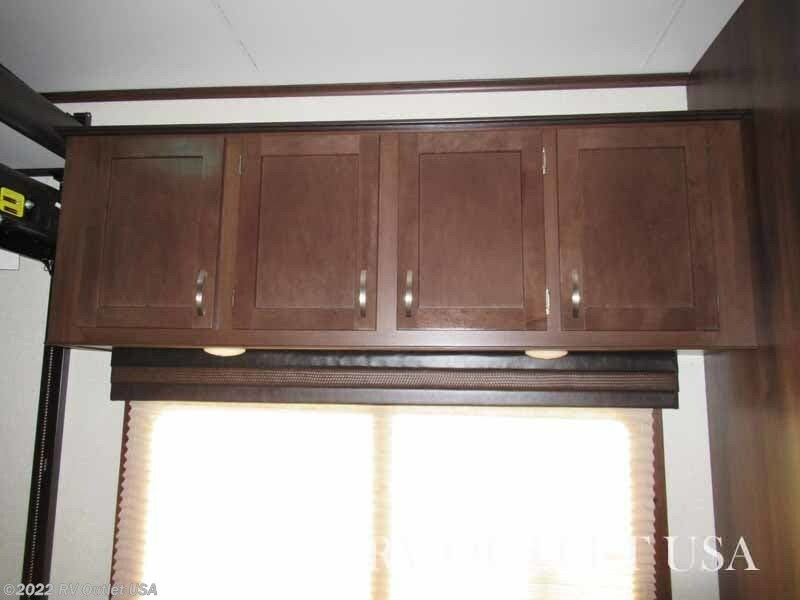 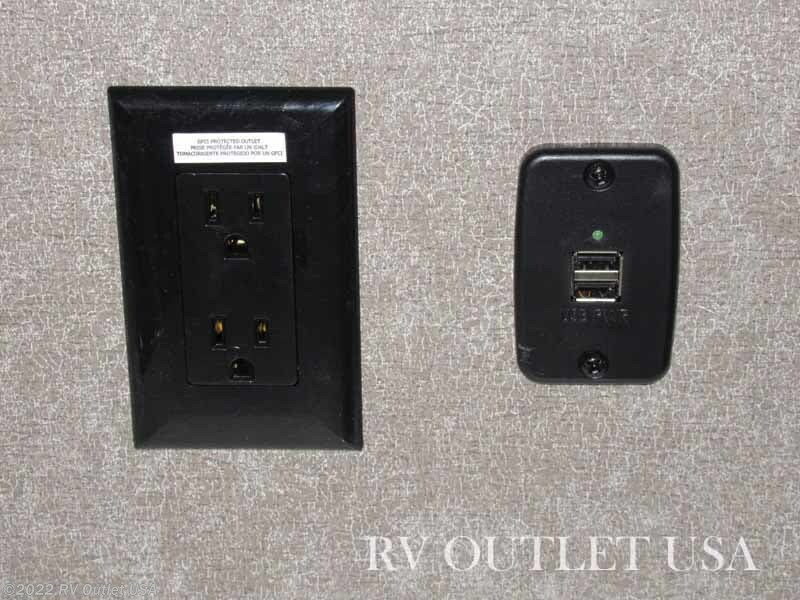 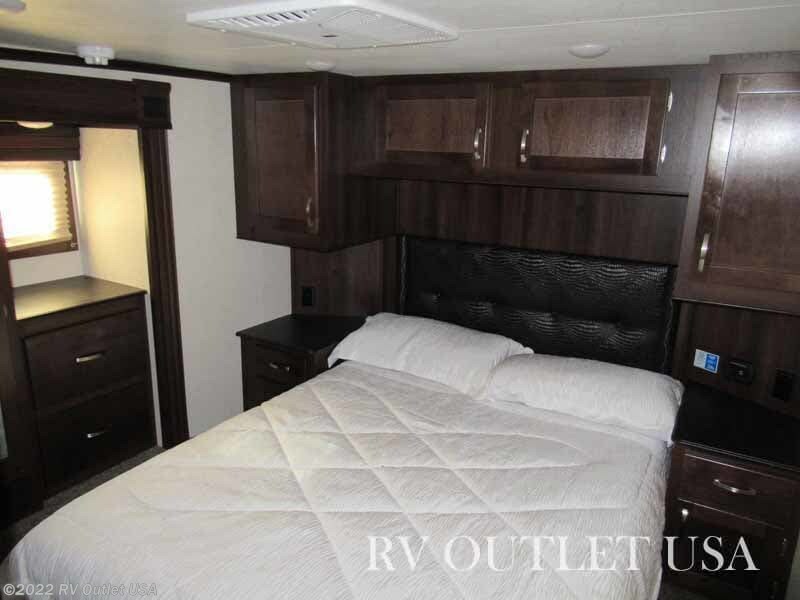 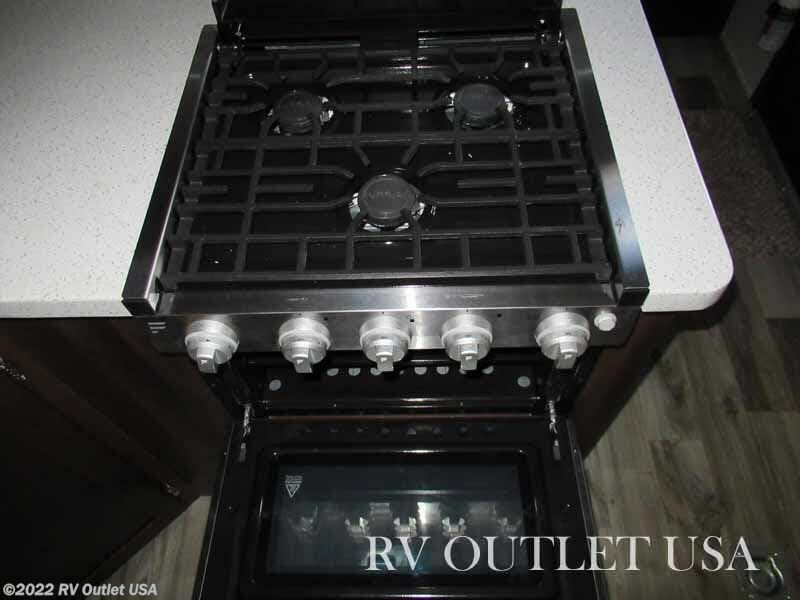 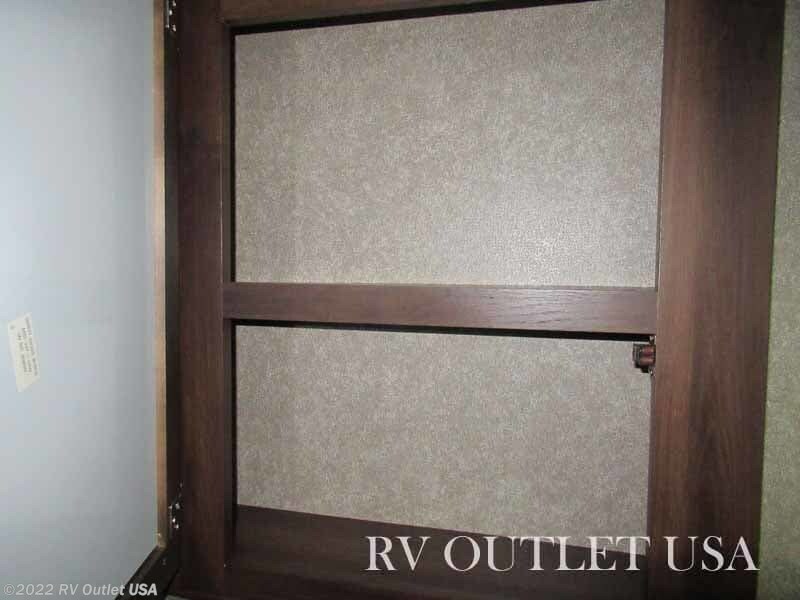 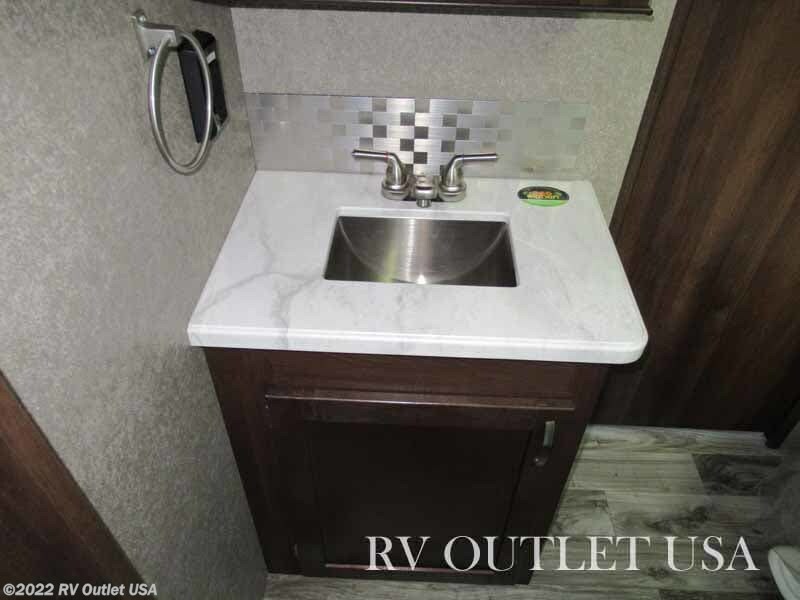 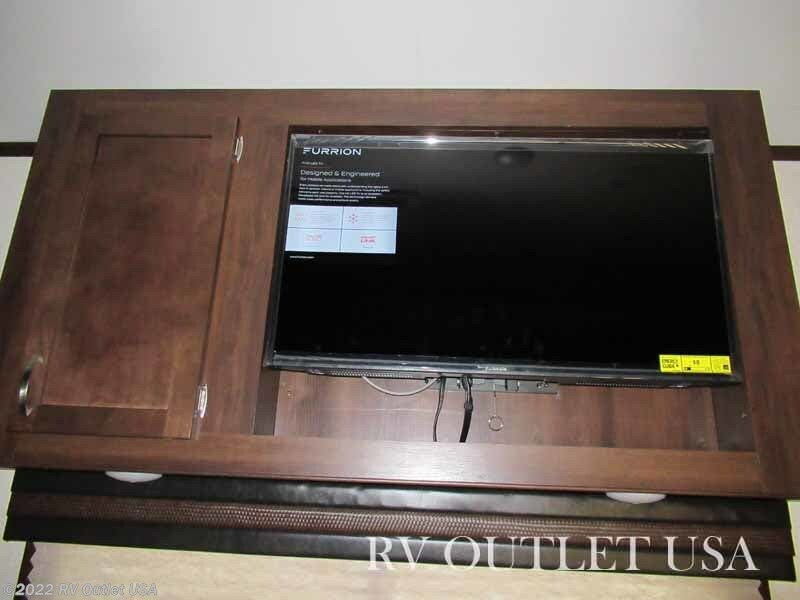 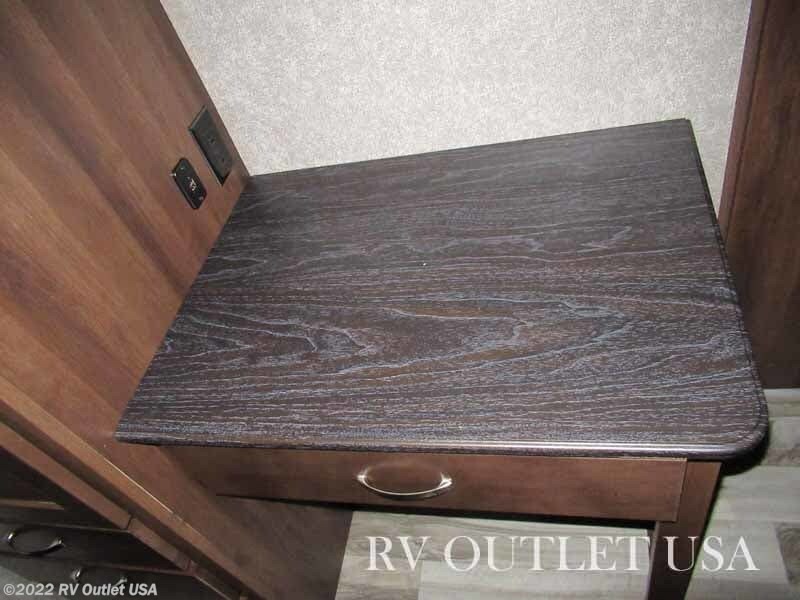 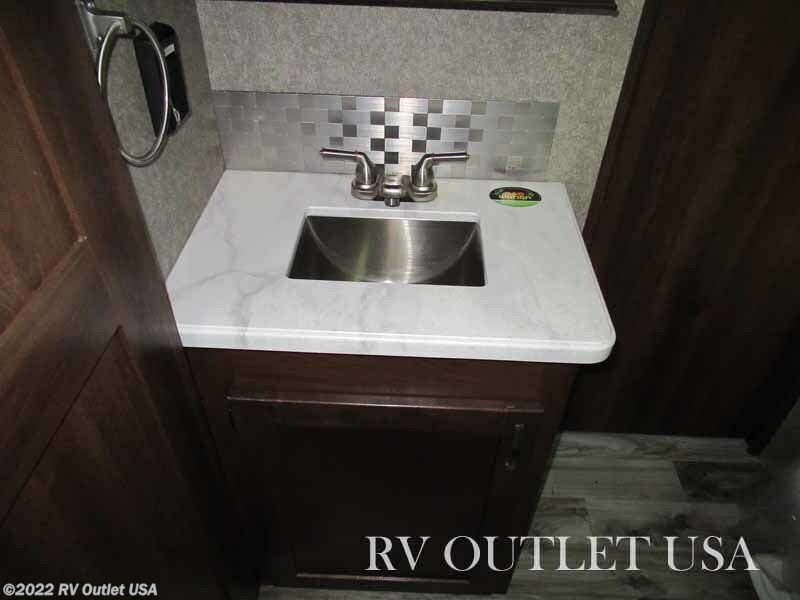 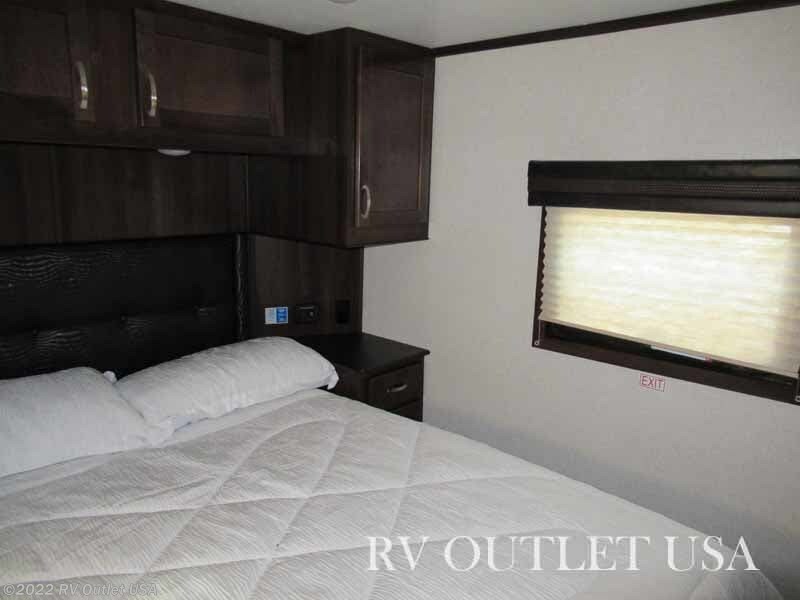 This is a brand-new 2019 Jayco Talon 392T fifth wheel toy hauler which has a walk around north to south queen bed in the front with a large wardrobe slide on the off door side. 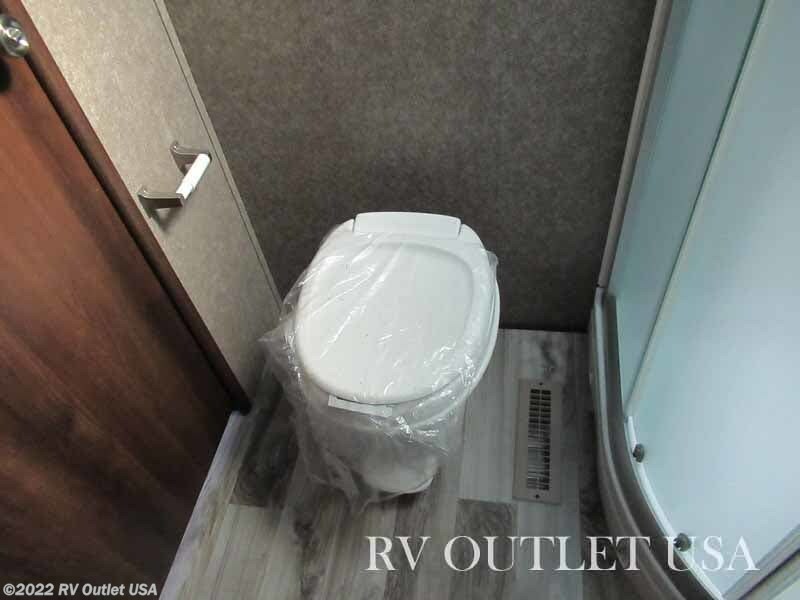 It has a side aisle bathroom with a radius shower with glass enclosure, a toilet, a sink with underneath storage and a medicine cabinet. 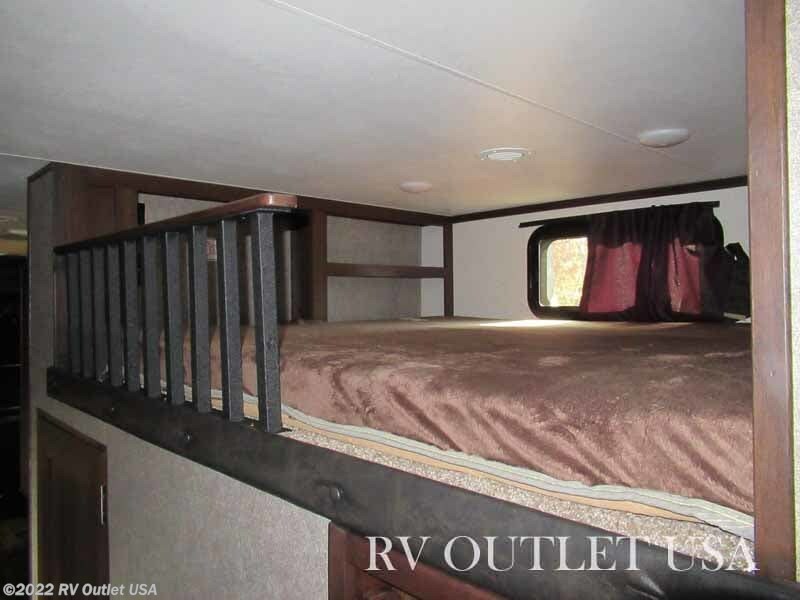 This is one of Talon's newest floor plans with a mid bunk slide with a tri fold sleeper sofa and a bunk over top! 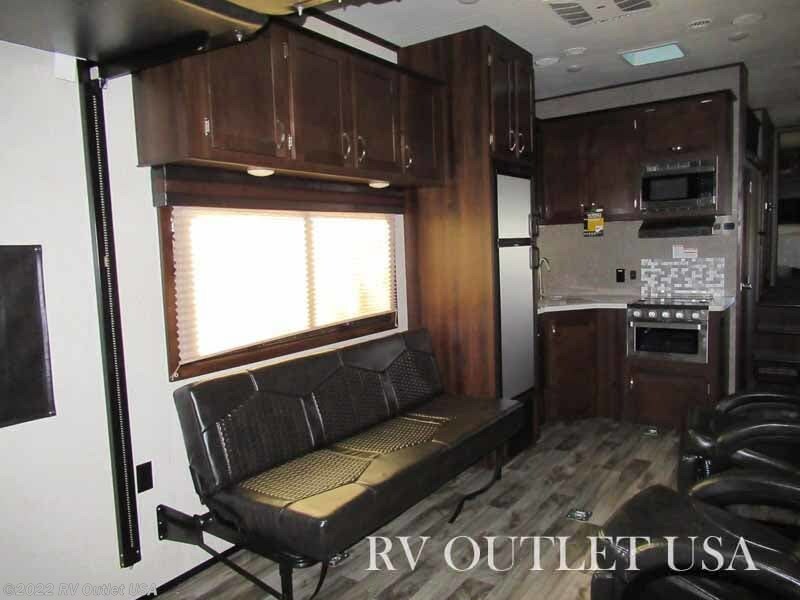 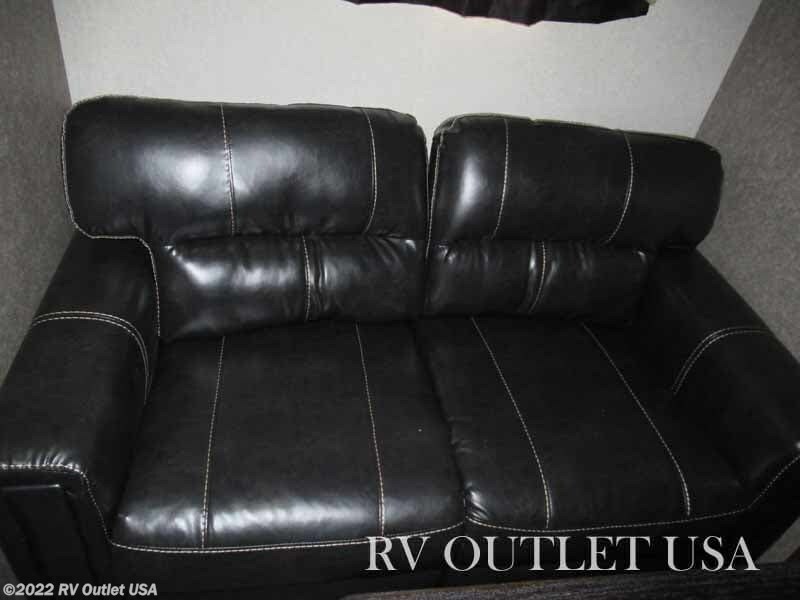 The main living area has (2) swivel lounge chairs on the door side with over head cabinets and across from that is a full galley (Kitchen) with a large double stainless sink, a three burner cook top with oven, a microwave oven, a double door refer and plenty of cabinet space for storage. 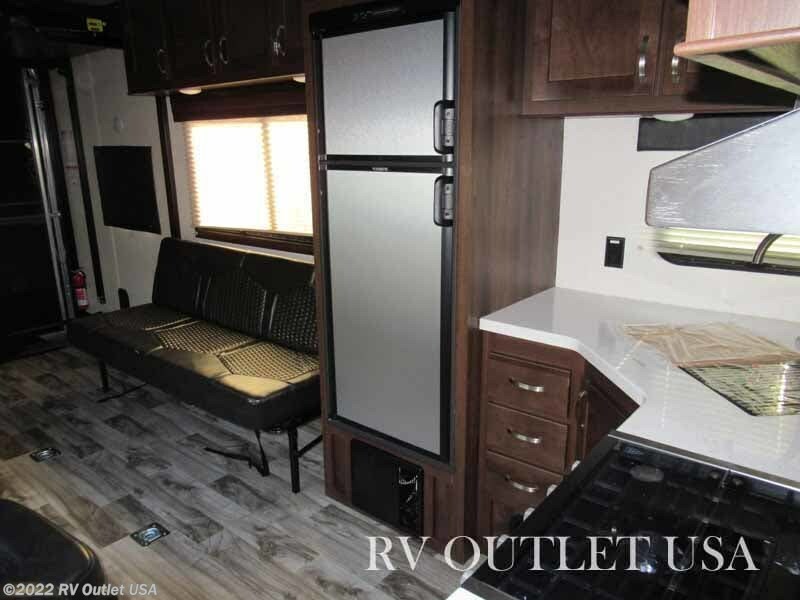 It also has on the off door side, a fold up sofa which also makes into a bed for extra sleeping room which allows you to sleep up to (10) people PLUS, it has a super cool exterior kitchen! 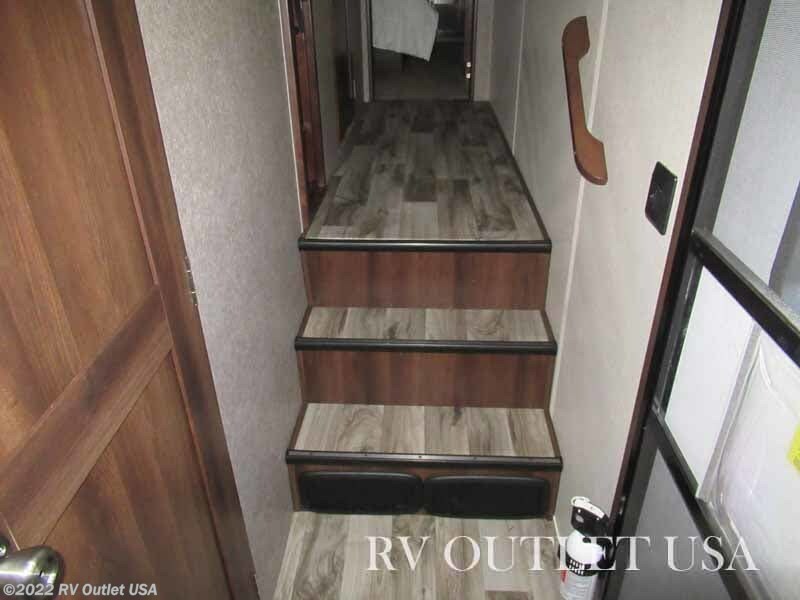 This is a great floor plan!! 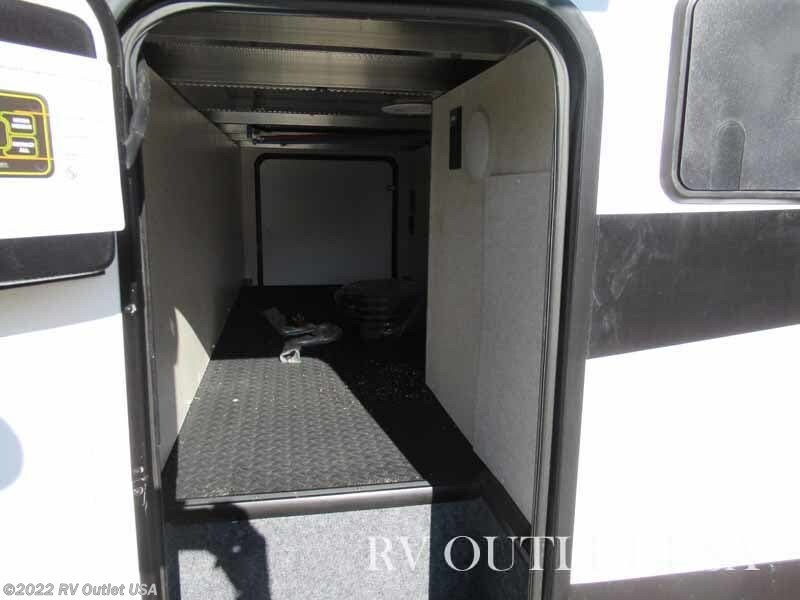 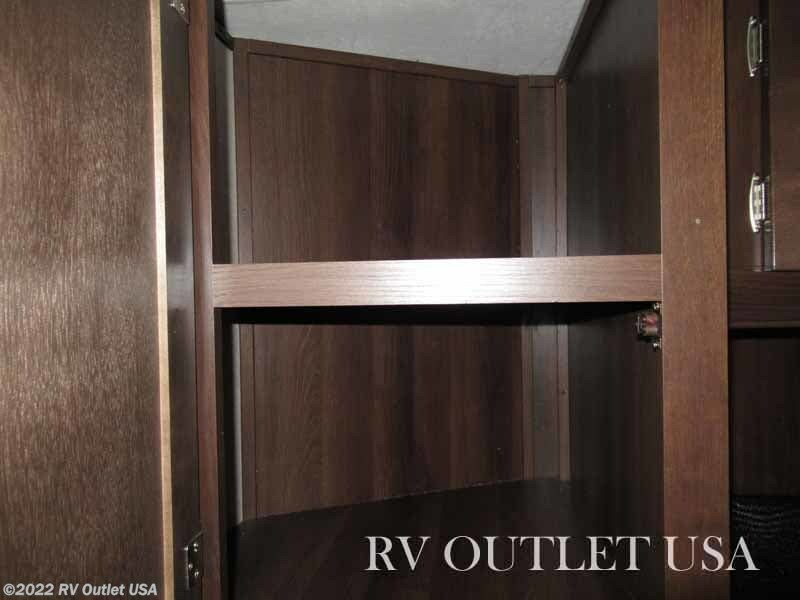 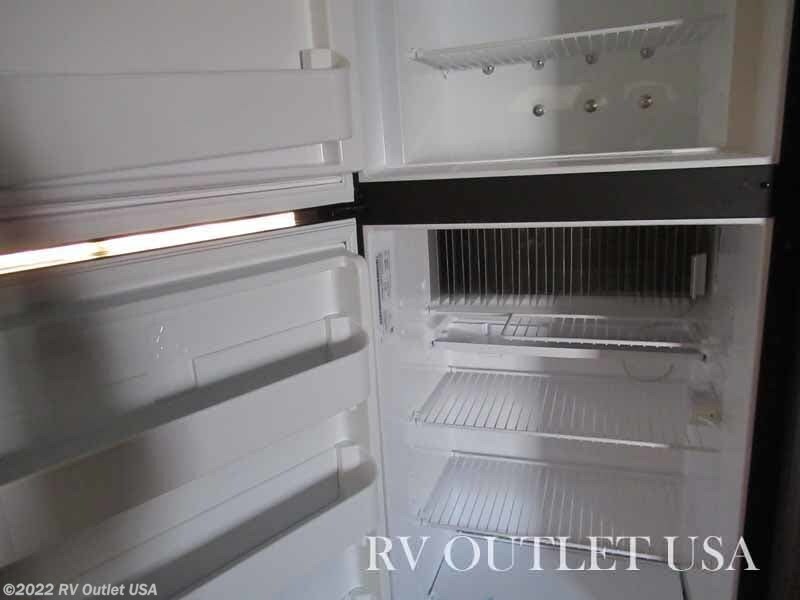 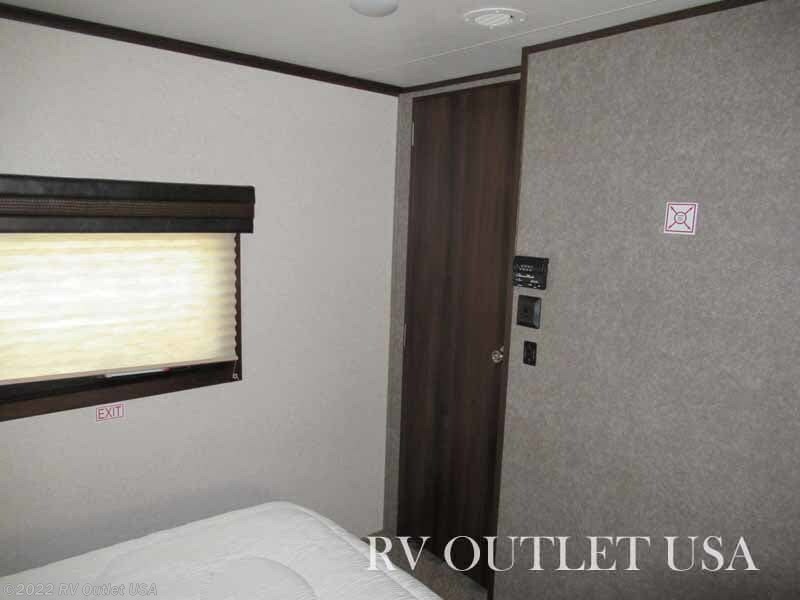 The 392T floor plan also has a 12' 6" cargo area to the kitchen and a 16'9" on the door side. 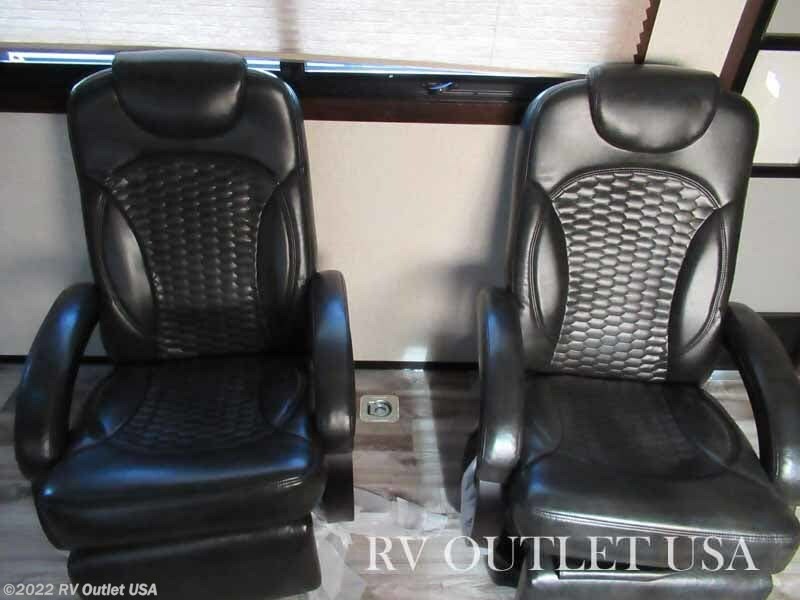 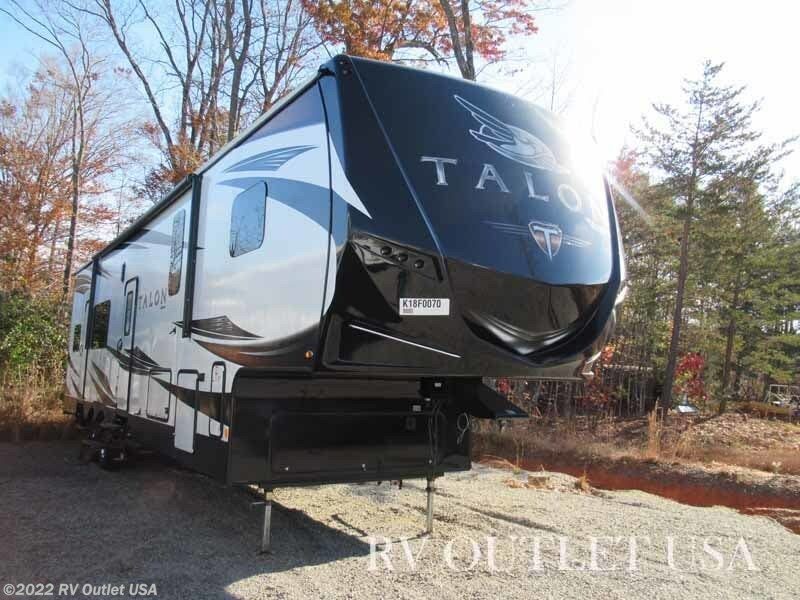 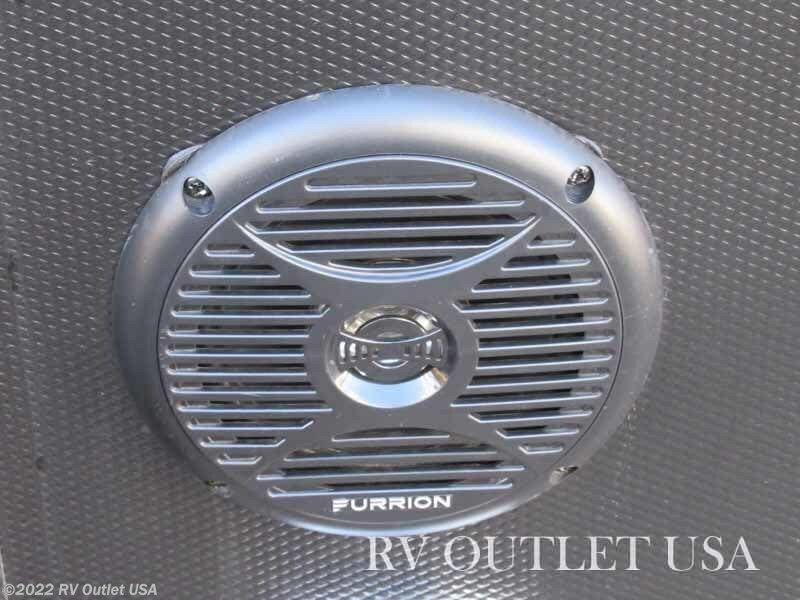 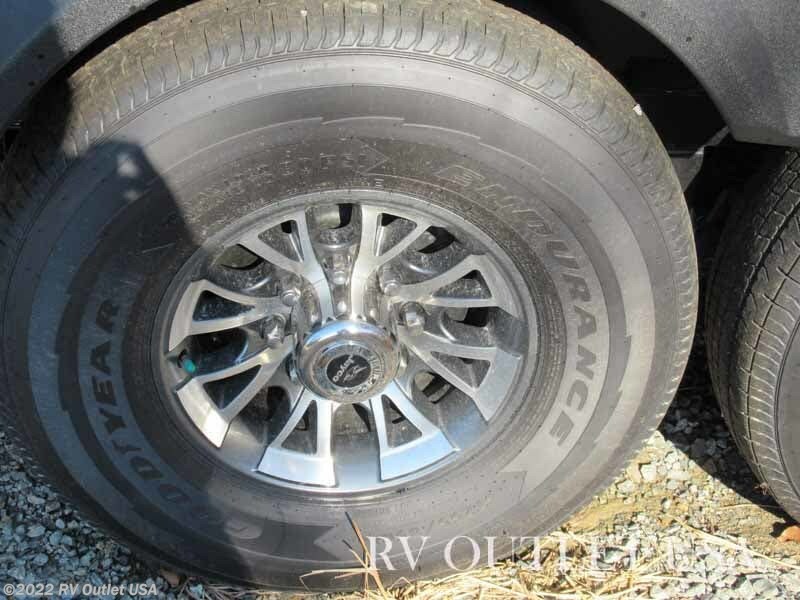 The Talons are very nice, well built toy haulers with a full painted fiberglass font cap and you won't find any Chinese tires on these toy haulers, they're all USA made Goodyear Endurance! 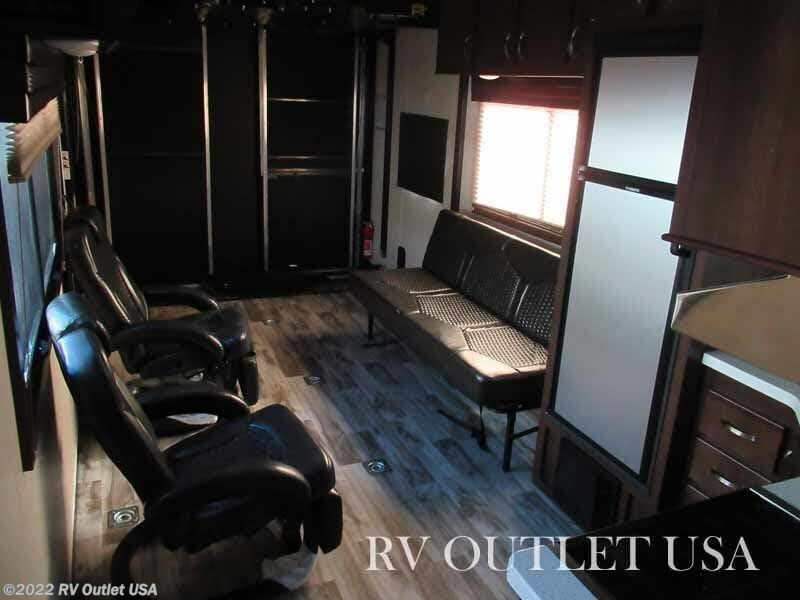 It also has the rear back up camera prep, 16" alloy wheels, an extra long 21' power awning, the double power beds in the rear with convertible sofa, an exterior kitchen and tinted safety glass windows which have the same R-factor as dual pane windows!! 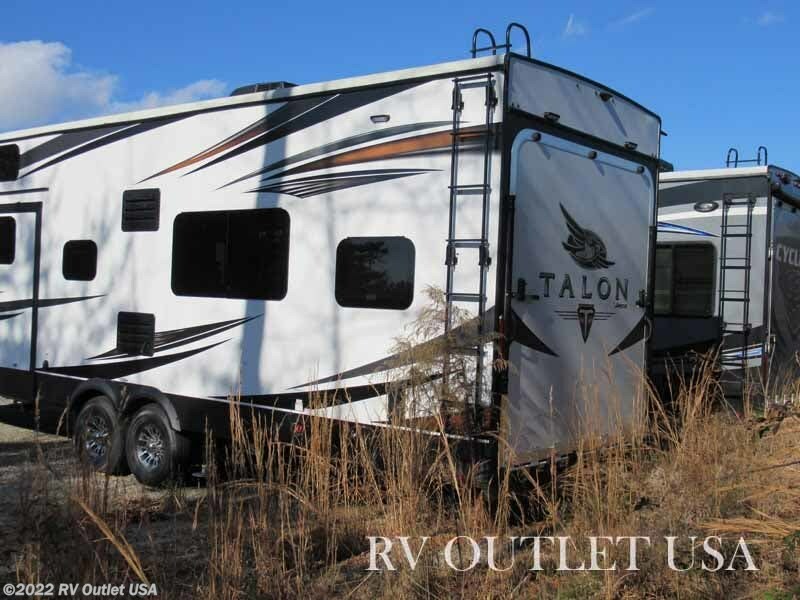 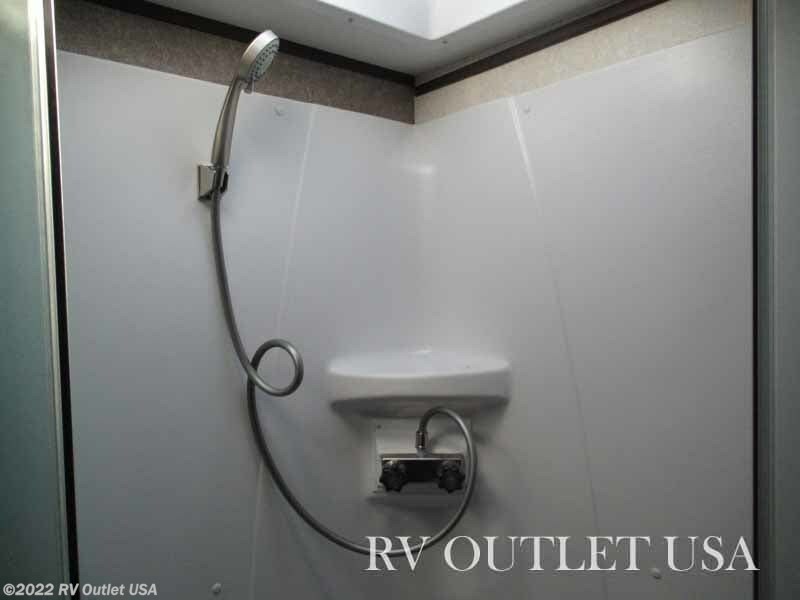 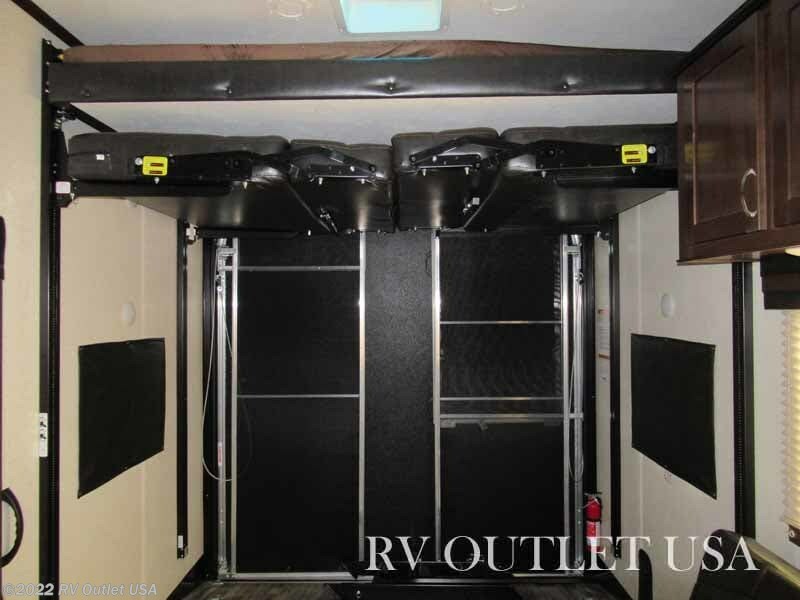 It's a really nice 5th wheel toy hauler that not only has a ton of options, but it's priced below wholesale! 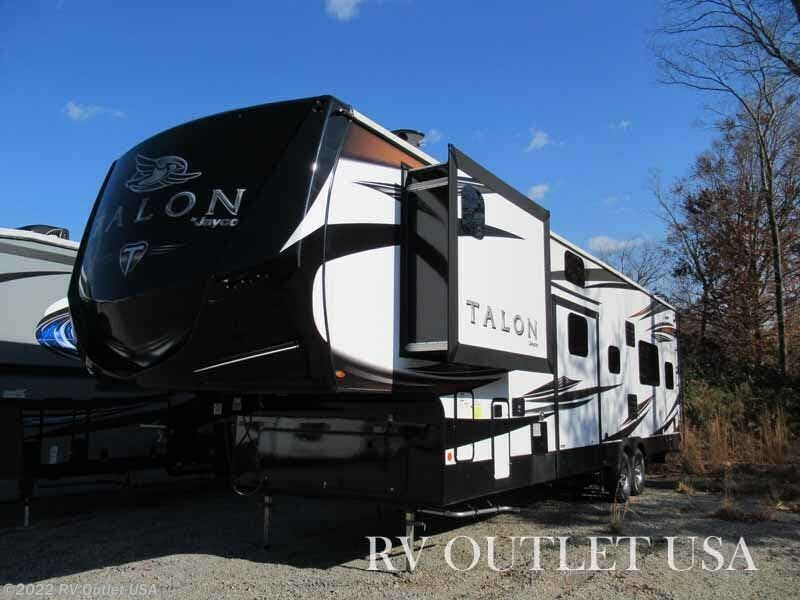 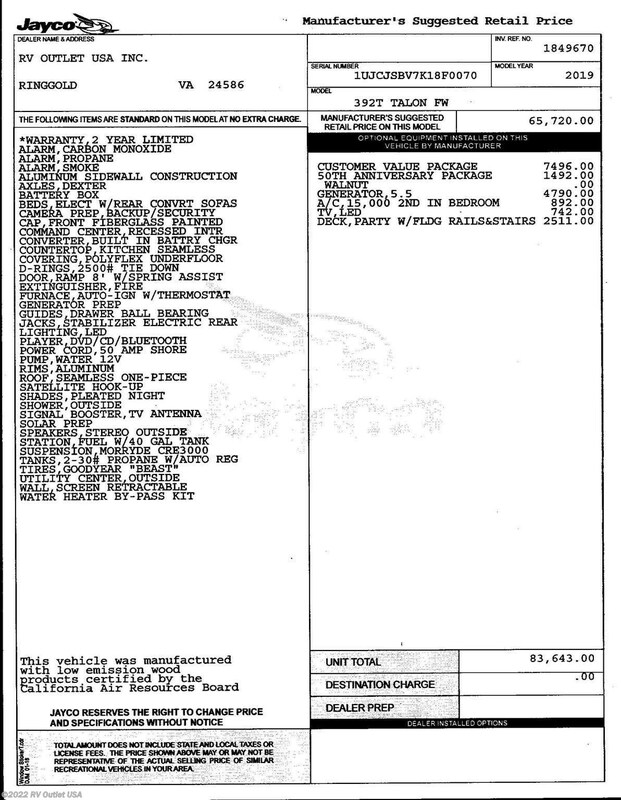 Here's a list of options that were ordered on the 2019 Talon 392T toy hauler. 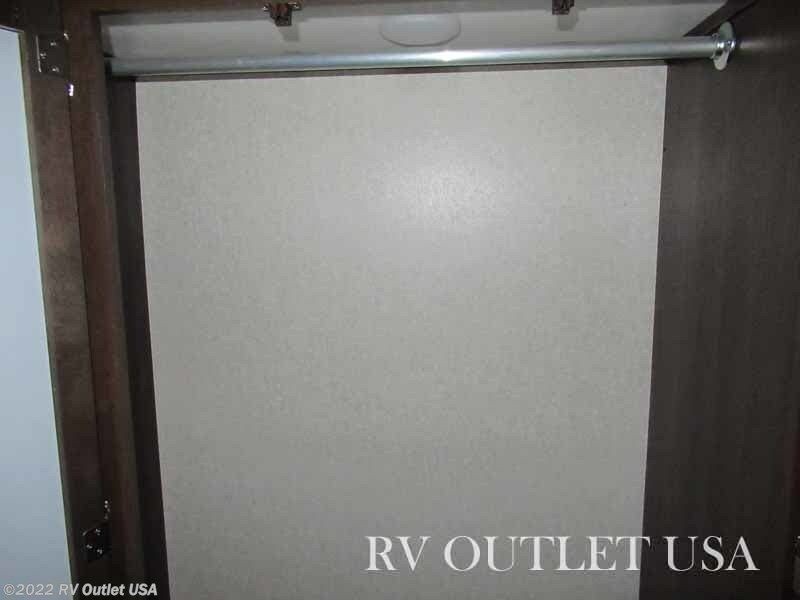 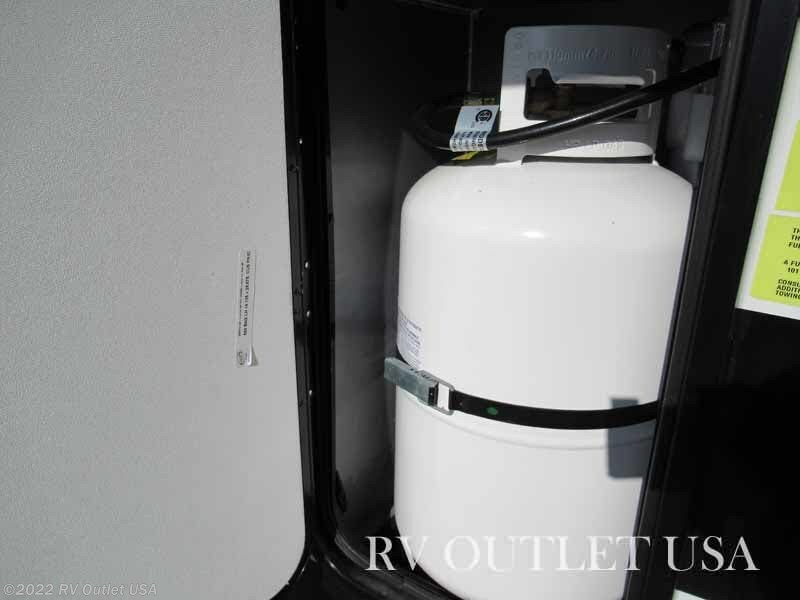 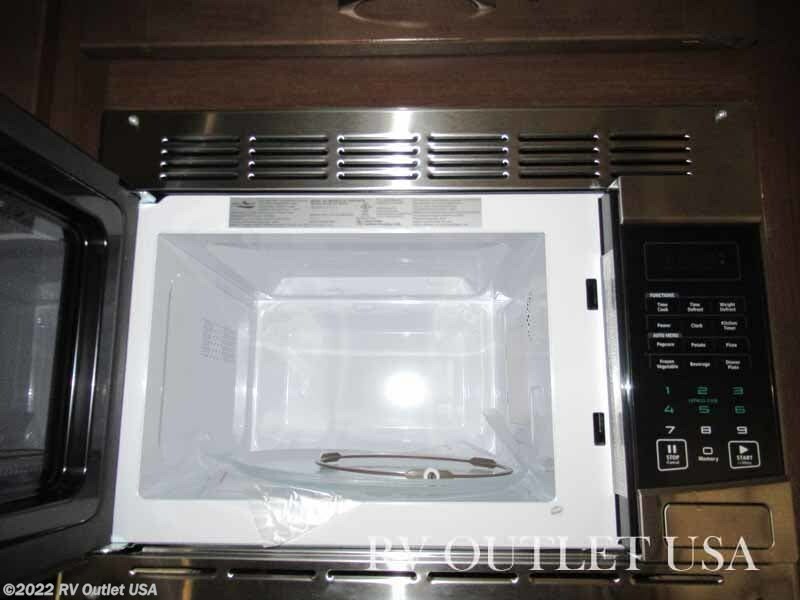 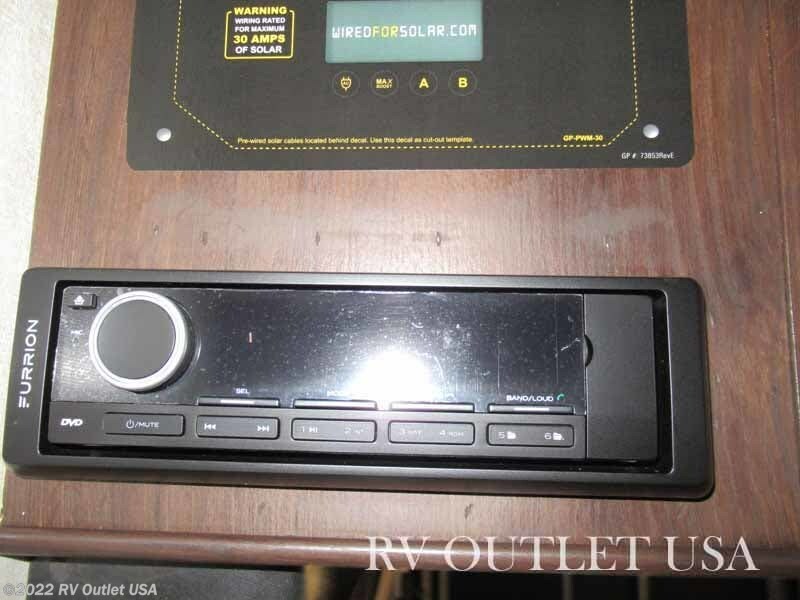 It has the CVP (customer value package), the new 50TH Anniversary package which has a ton of very nice features, the interior color is Walnut, it has the ramp door patio system with steps, a 5500 Onan generator with fueling station, Six-point auto leveling, the new Mid Bunk and the dual A/C package with (2) 15K BTU A/C's! 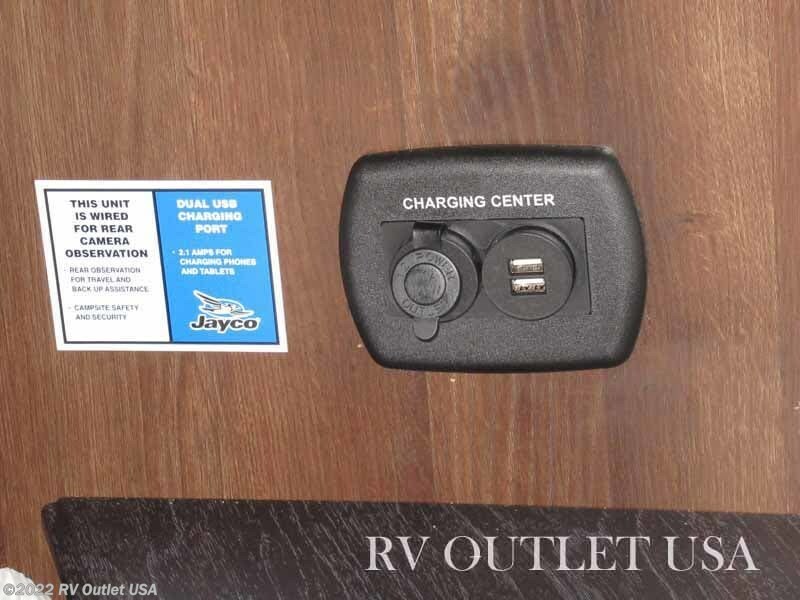 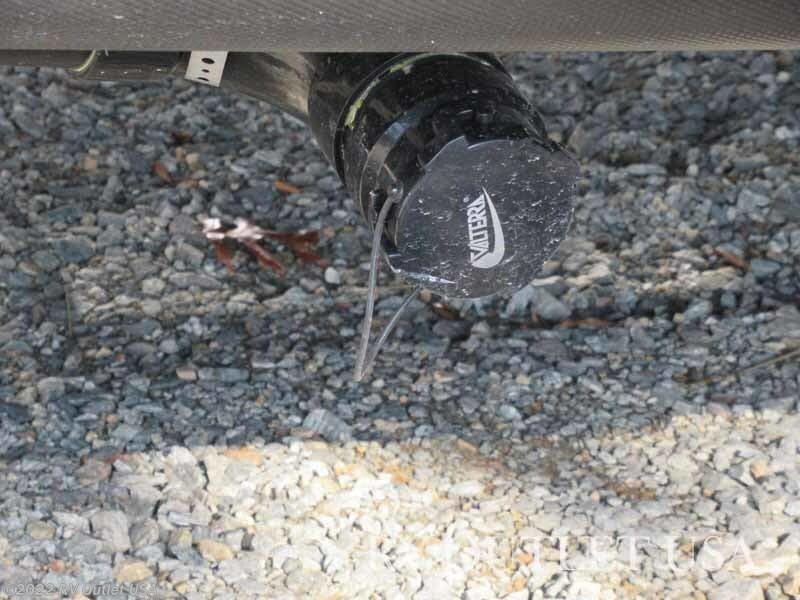 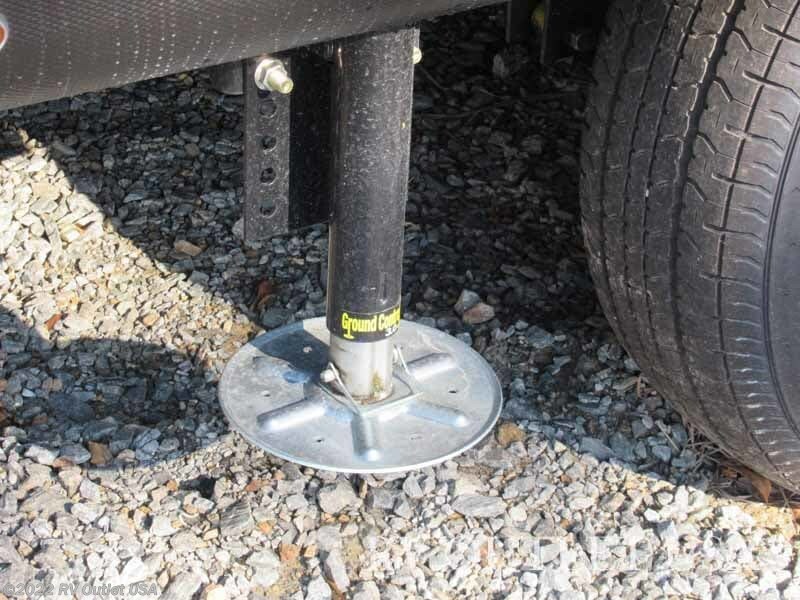 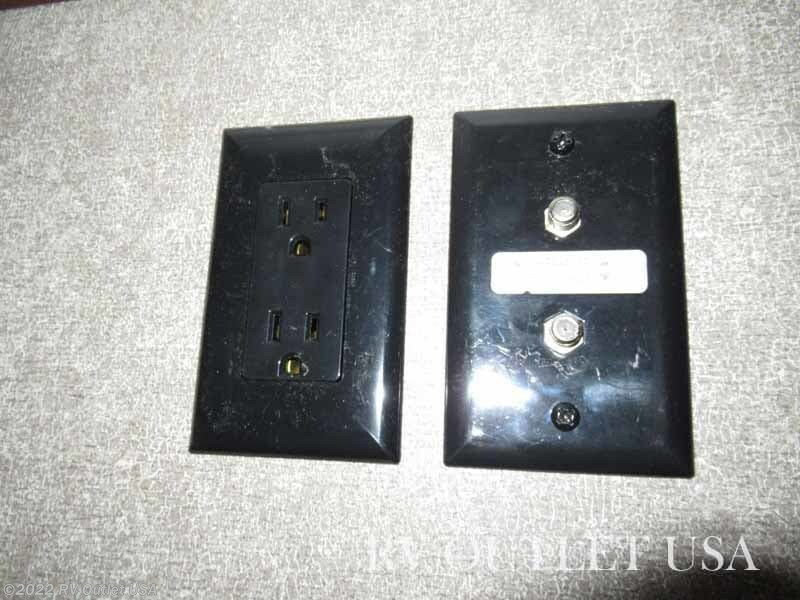 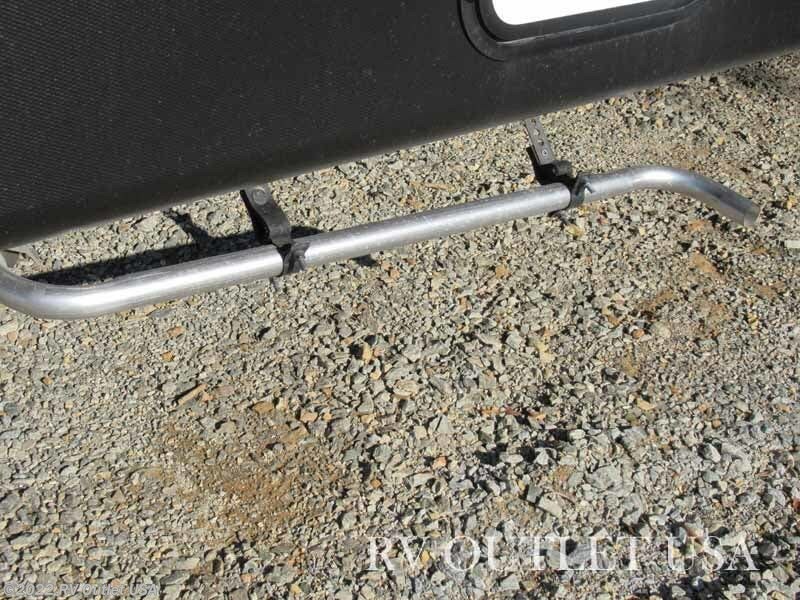 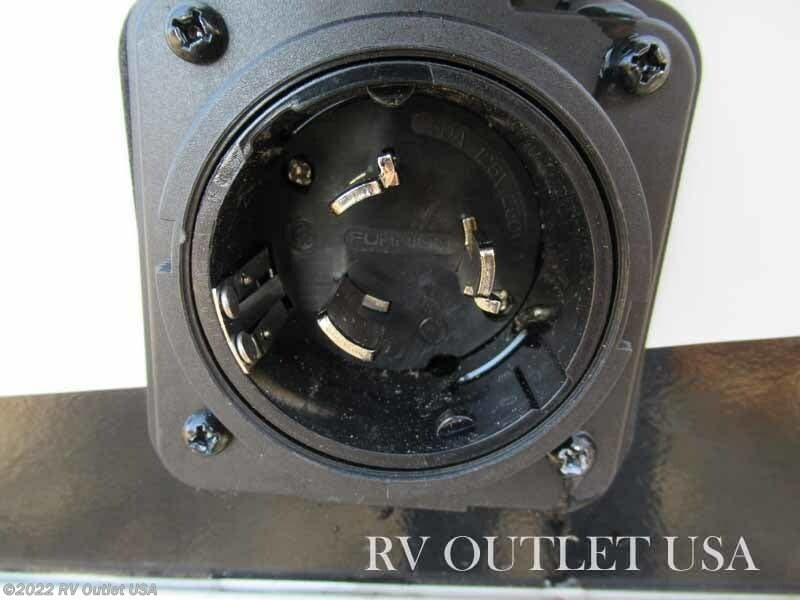 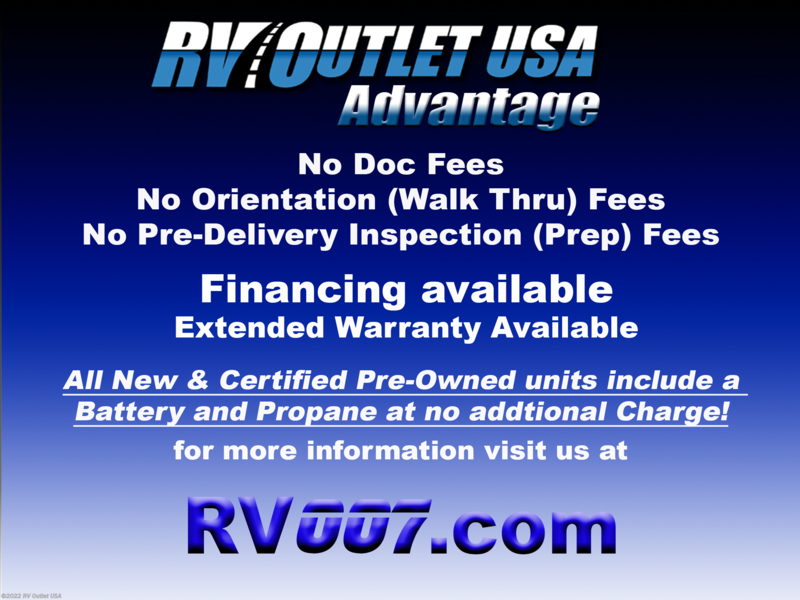 Keep in mind, the Jayco products have a (2) Year Warranty and we have NO doc, prep, PDI, or any other hidden fees like your larger chain stores have and we always offer big discounts to our customers on fifth wheel hitches and installation, parts and accessories.